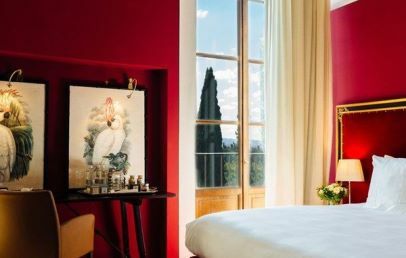 Just 15 minutes away from the city of Florence stands the Hotel Il Salviatino, one of the most exclusive luxury hotel in Florence. 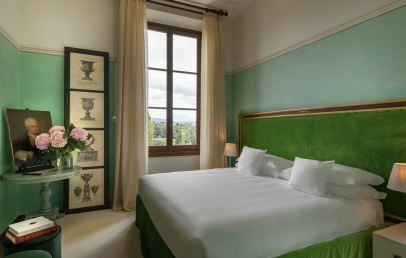 Located in the hills of Fiesole and immersed in the Tuscan countryside, among parks and gardens, the hotel offers spectacular views of the surrounding nature and beauty of the city of Florence. 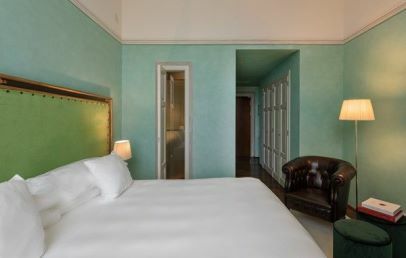 It is only 25 minutes from the airport of Florence Amerigo Vespucci and approx. 75 minutes from Pisa Galileo Galilei. 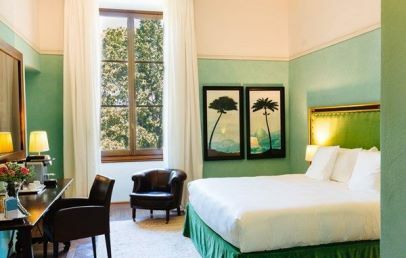 Medieval country house dating back to the fourteenth century, restored and then completely changed under various owners since 1447, Il Salviatino became a place of encounters and cultural exchanges with the Salviati family in the sixteenth and seventeenth century. 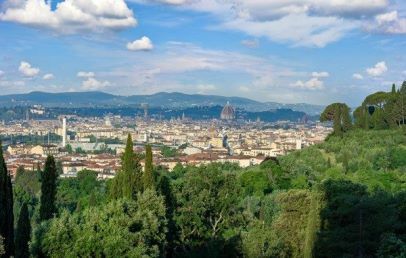 The nickname "The cheeky" was given to this residence in the twentieth century, due to its dominant position on the city of Florence and the vast surrounding park. 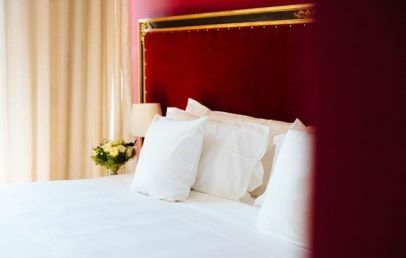 Today is a luxury hotel completely renovated, which devotes its attention to every small detail, and becomes an ideal resting place for selected customers. 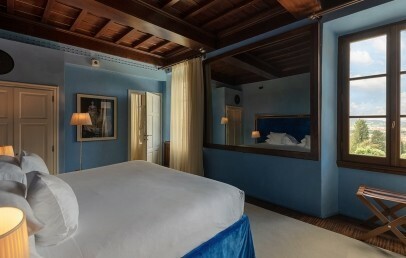 The 44 rooms and suites of the Hotel Il Salviatino are furnished according to the style of the villa. 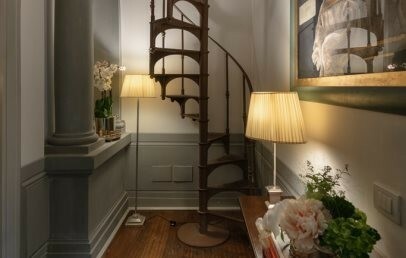 In fact they combine modern furnishings with traditional ones. 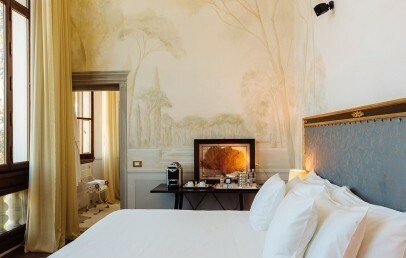 Guests will find fine Tuscan bed linen handmade by local artisans, original artworks, but also a Nespresso coffee machine and many other amenities, that will make any stay memorable. 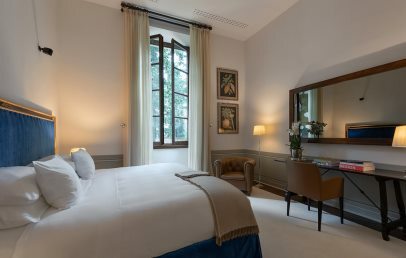 Each room and suite has a unique and personal decor, which takes us back to its former glory of the Renaissance aristocracy period. 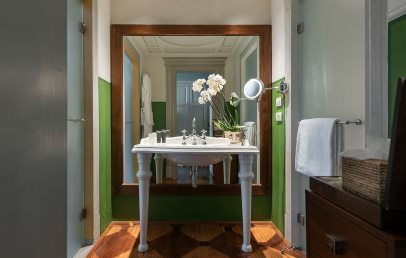 One of the strength point of the Hotel Il Salviatino is the extraordinary Spa, located in the greenest corner of the villa’s park. The innovative and delicate formulas melt with the treatments, leads somehow to a “multisensory emotional journey”. The restaurant "La Cucina" was designed with the intent to create a cuisine rooted in the most authentic Tuscan tradition. During the summer, tables are set up on the terrace, while on cooler evenings guests can dine in the area of the bookshop. Closed on Tuesdays. The following services are available upon request: bike rental, tastings, truffle hunting. Guest can access to the multi-level swimming pool. Tourist tax – € 5,00 per person, per overnight, to be paid directly on site. 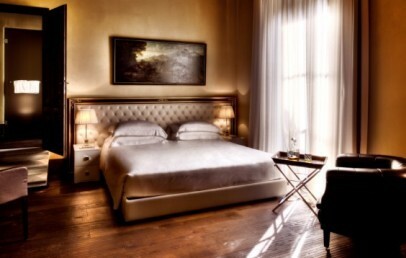 Luxury furnished accommodation, modern amenities combined with traditional furnishing with sophisticated atmosphere. 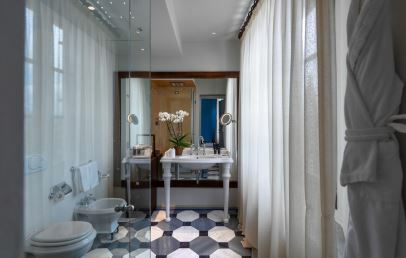 The bathroom offers a shower with rainfall shower head and courtesy set. Complimentary Wi-Fi connection, Nespresso coffee machine, 24hrs Ambassador Service. Located in the main Villa. Luxury and spacious accommodation, furnished with modern amenities combined with traditional furnishing with sophisticated atmosphere. The bathroom has a shower or a bathtub and courtesy set. Complimentary Wi-Fi connection, Nespresso coffee machine, 24hrs Ambassador Service. 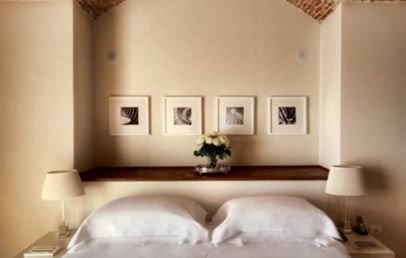 Some of these rooms can accommodate an additional person with a single bed. 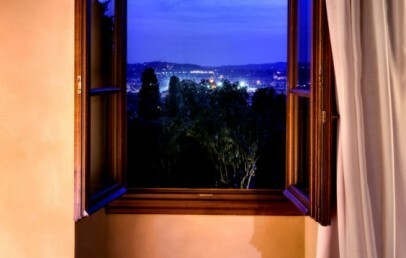 These comfortable rooms offer from the window a spectacular view on the enchanting Dom. These luxury accommodations are furnished with modern amenities, combined with traditional furnishing create a sophisticated atmosphere. 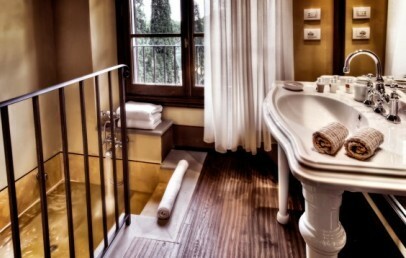 The bathroom offers a shower or a bathtub and courtesy set. Complimentary Wi-Fi connection, Nespresso coffee machine, 24hrs Ambassador Service. Located in the main Villa. The accommodation is spacious and is perfect for a family, offering two extra beds on a mezzanine accessible by a spiral staircase. Modern amenities are combined with traditional furnishing presenting a sophisticated atmosphere. The bathroom has a tub or a shower and courtesy set. Complimentary Wi-Fi connection, Nespresso coffee machine, 24hrs Ambassador Service. 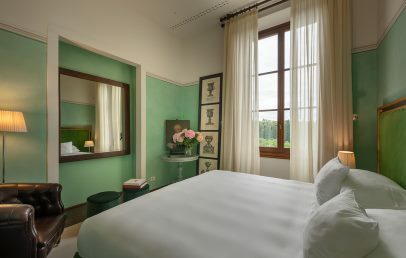 Each with its own unique aesthetic, Il Salviatino’s Junior Suites are a collection of retreats crafted from the villa’s many original configurations. 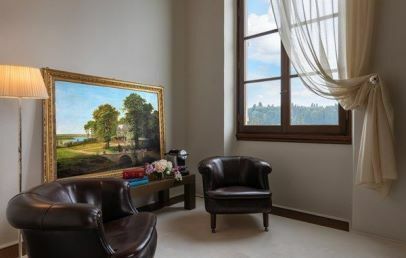 Eclectic accents include mezzanine floors, intricate spiral staircases, hidden libraries, hand-stitched leather furnishings – including antique walk-in wardrobes – and modern technologies. They have been refreshed with bright colors and feminine touches, such as fresh florals and linens, for a classic-meets-contemporary feel. The bathroom has a tub or a shower and courtesy set. Complimentary Wi-Fi connection, Nespresso coffee machine, 24hrs Ambassador Service. 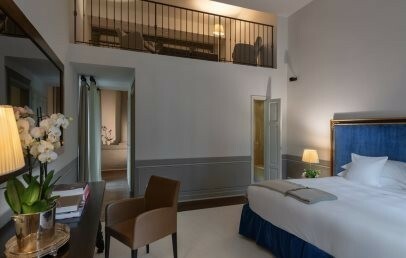 Nice and spacious Junior Suite, ideal for a private retreat. The Junior Suites Greenhouse have contemporary furnishing and designer pieces. 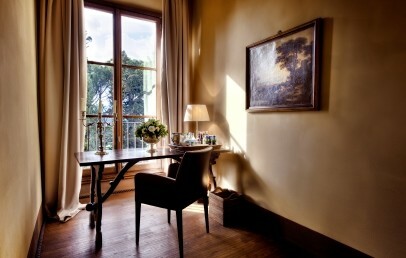 They are located below the Italian Garden with direct access to the villa’s park and garden. 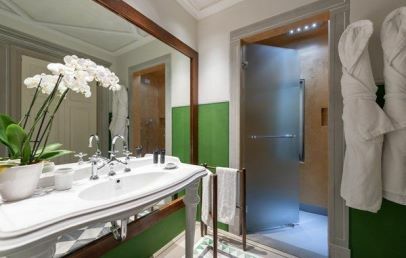 The bathroom has a bathtub, a shower and courtesy set. Complimentary Wi-Fi connection, Nespresso coffee machine, 24hrs Ambassador Service. 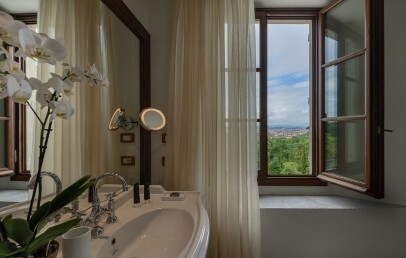 The rooms are located in the main Villa, are more spacious as the Classic Dome View and offer spectacular view over Florence and the enchanting Dom. These luxury accommodations are furnished with modern amenities, combined with traditional furnishing create a sophisticated atmosphere. 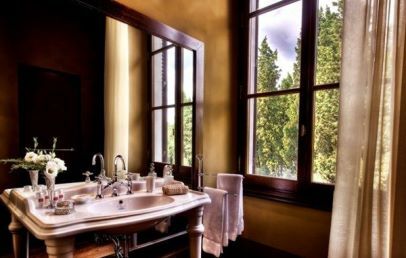 The bathroom has a bathtub or a shower and courtesy set. Complimentary Wi-Fi connection, Nespresso coffee machine, 24hrs Ambassador Service. 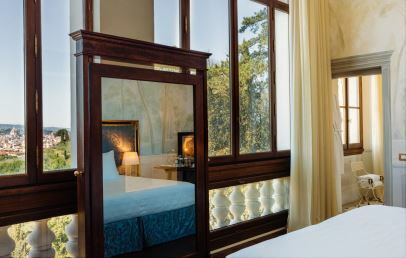 Eclectic Florentine elegance meets breathtaking vistas and spacious living areas (where an extra bed can be accommodated) in the Dome View Junior Suites. 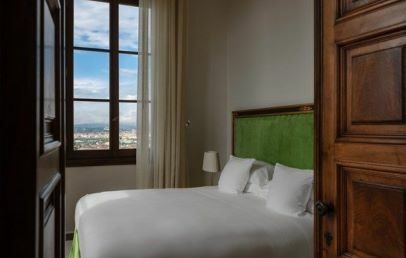 Here, grand windows offer amazing views of the iconic Duomo and romantic Italian Gardens. The bathroom has a shower or a bathtub and courtesy set. Complimentary Wi-Fi connection, Nespresso coffee machine, 24hrs Ambassador Service. Book 3 nights and pay only 2 nights! Book 4 nights and pay only 3 nights! Special Advance Booking - Make your reservation 45 days in advance and get 15% discount on your stay (for stays between May 11th and July 6th and between September 5th and 28th). 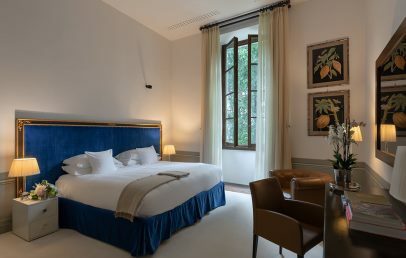 Special Advance Booking - Make your reservation 30 days in advance and get 15% discount on your stay (for stays between April 18th and May 10th, between July 7th and September 4th and between September 29th and October 19th). 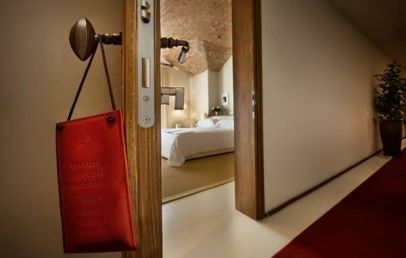 Special Advance Booking - Make your reservation 20 days in advance and get 15% discount on your stay (for stays between April 5th and 17th and between October 20th and November 3rd).